Unlike many mass market orientated therapists, Sue Carberry is a professionally qualified and trained massage therapist in London. Sue offers a range of authentic massage treatments based on real ancient healing techniques, extensive experience and works with the knowledge of a real healer, accessing universal healing energies developed through the in-depth work that she has accomplished on her inner-self. Sue aims to restore the body’s natural balance and well-being through highly-skilled, high-quality, effective massage. 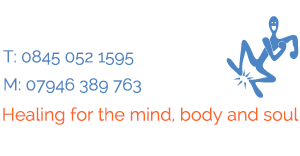 Please select from the following Integrated Bodywork Massage treatments to find out more. All massages are tailored to your specific body condition. Watch the following video of Sue Carberry talk more about herself and Integrated Bodywork.